Experience the breakout through the eyes of another. 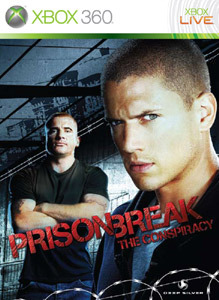 Prison Break: The Conspiracy is a game based off the first season of the show which focuses on Micheal Scofield breaking into Fox River to get his brother Lincoln Burrows out. If you’re a fan of the show, you know the many twists and turns that play out and the important characters that made it great to watch. Well now we get a game to play about it, but it’s not very good. T-bag would be displeased. Rather than put us in the shoes of say, Micheal Scofield, Conspiracy creates a new character to obverse Scofield in Fox River. Tom Paxton is an company agent who is sent to the prison to make sure Lincoln is executed as planned and that whatever Scofield is doing there does not affect the plan given by his boss. You’ll get to interact with several key characters to the show, and most are voiced by their respective actors, but most seem sorta bored since they’re speaking lines about a show they wrapped up some time ago. Paxton is put into key parts of the show including getting Haywire out of Scofields cell, retrieving PUGNAC for C-Note, and many other parts to ensure your mission can be accomplished. Stealth is a big part of the Conspiracy, and you’ll have to sneak around a lot to complete objectives while avoiding cameras, guards, and employees of the prison. Getting caught will revert you to a previous checkpoint, so it’s not too bad, but the checkpoints can be spaced out a little more than I would have liked. 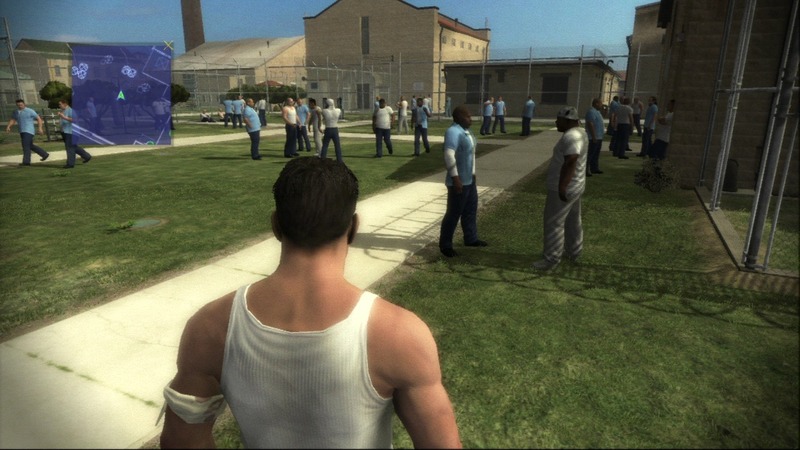 Fighting is the other gameplay element you’ll find in Prison Break, and it’s average at best. You have two buttons for light and heavy attacks, and another for counters. Once you get the timing down, you can pretty much counter anyone you face, so combat becomes really easy no matter the difficulty you choose to play on. Prison Break was a great show on tv with lots of suspense, and something the game can’t really recreate. The visuals are ok, and the music is from the show which is good, but overall the game wasn’t well made. If you want some easy gamerscore, check this one out for a few days, but after the 3 hour campaign, you’ll won’t want to return.